This printer ribbon cartridge will yield 5000000 characters. 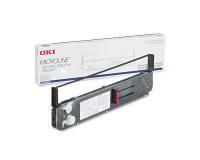 When do I Replace a Ribbon Cartridge in the OkiData PaceMark 3410 Impact Printer? Important: Please do not grasp the ribbon cartridge bracket. In the first step of the replacement procedure, you must open the access cover of the main compartment, and then remove the exhausted ribbon cartridge from the OkiData PaceMark 3410 Impact Printer. After that, you must take the new ribbon cartridge out of the protective bag, and then remove the shipping restraint from the new component. 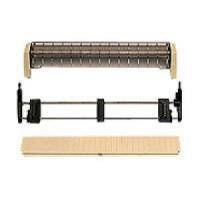 Now, you must push the latch of the idler roller inwards, and then insert the pins of the new ribbon cartridge into the notches on the side plates of the printer. In the next step of the replacement procedure, you must push the new ribbon cartridge down until it snaps into place, and then center the printhead. After that, you must thread the ribbon around the posts of the printhead, and then tighten the ribbon by turning the take-up knob clockwise. Finally, you must close all covers of your OkiData PaceMark 3410 Impact Printer. Initially, you must switch the OkiData PaceMark 3410 Impact Printer off, and then unplug the power cord from the power source. Next, you must detach the platen knob, and then pull the release lever towards you. After that, you must remove the two mounting screws from the rear cover of the printer, and then raise the sheet separator. 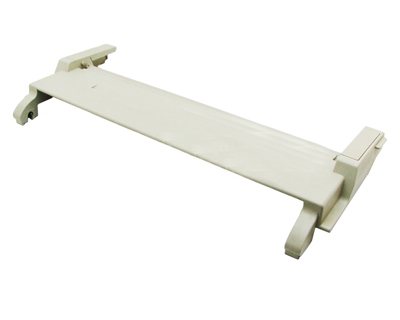 Now, you must open the bail arm, and then lift and rotate the pull-up roller assembly towards the rear side of the main unit. In the next step, you must close the bail arm, and then return the sheet separator to its original position. Finally, you must remove the upper cover assembly by disengaging it from the four claws of the main frame. Once the upper cover assembly is removed, you must take the ribbon cartridge out of the main unit, and then unplug the operator panel cable. After that, you must remove the five mounting screws from the shield cover, and then unplug the CN11 and CN12 connectors from the main logic board. Now, you must remove the shield cover, and then unplug the remaining connectors from the main logic board. Finally, you must loosen the mounting screw of the main logic board, and then pull the board out of the OkiData PaceMark 3410 Impact Printer. 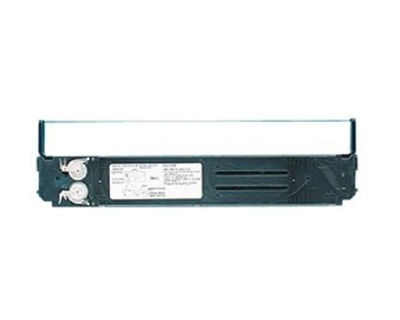 In the first step, you must unplug the connectors CN102 and CN103 from the interface connector board, and then remove the three screws from the rear side of the printer mechanism. After that, you must remove the two screws from the left side of the printer mechanism and the one from the right side of the component. Finally, you must lift the printer mechanism out of the impact printer. 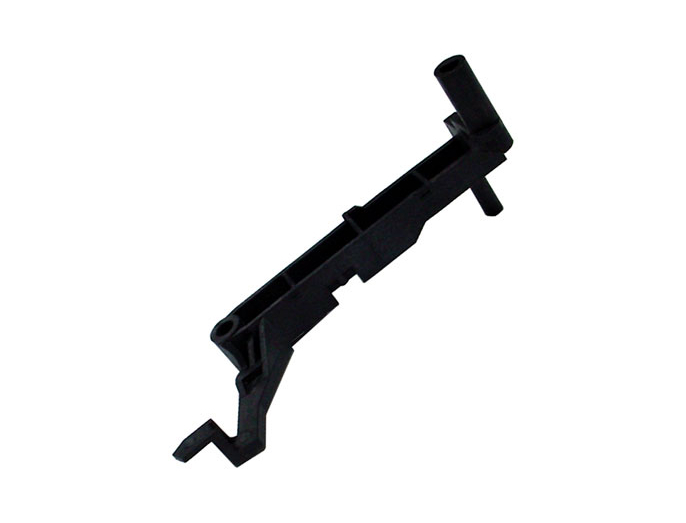 Once the printer mechanism is removed, you must remove the two mounting screws from the ribbon cartridge bracket, and then remove the ribbon cartridge bracket from the printer. You must remove the screws securing the ribbon feed assembly to the main frame, and then remove the ribbon feed assembly. In the initial step of the replacement procedure, you must loosen the two mounting screws of the belt pulley bracket, and then slide the bracket to the left. After that, you must tighten the two mounting screws of the belt pulley bracket, and then remove the screws securing the spacing motor to the printer frame. 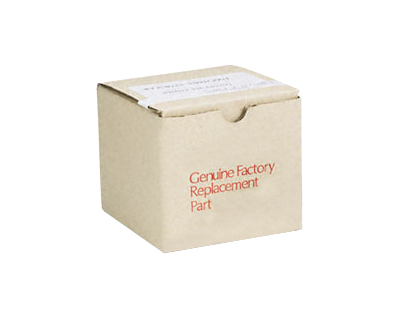 Now, you must remove the spacing motor from the OkiData PaceMark 3410 Impact Printer, and then unpack the replacement component. Finally, you must install the new spacing motor by executing the current procedure in reverse order, and then reinstall all previously removed components into the impact printer. 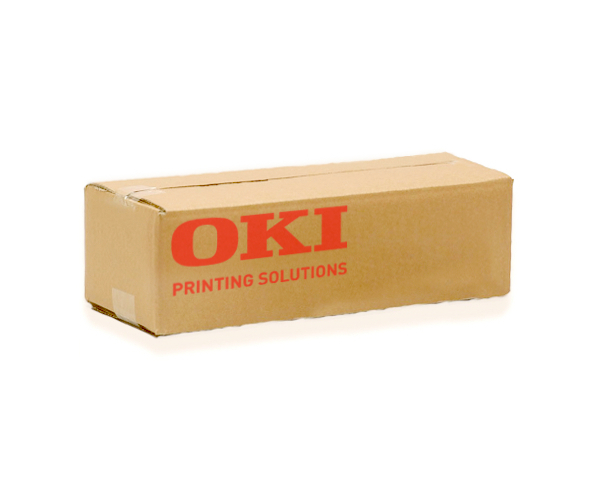 The OkiData PaceMark 3410 offers high speed printing for your large volume printing needs. This printer is dependable day in and day out. 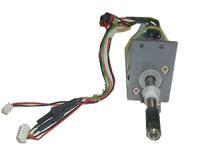 It was designed for durable output and offers fast throughput and reliability. The printhead carries through an 8-part form with stunning clarity, providing better print quality on any surface. With the PaceMark 3410 you get three different paper paths. This printer produces data in a 136 column format using standard characters and 272 columns at 20 characters per inch. It is an outstanding option for producing bar codes and graphics. The OkiData PaceMark 3410 is well built and has fewer parts to wear down or replace. This translates into exceptions performance every time you use it. It is compatible with Windows Vista 32/64, XP, 2000, 98/95, 3.x and NT. The OkiData PaceMark can handle a variety of paper types which include Single-part, Multi-part, Continuous forms, Cut sheet, Card stock, Envelopes, and labels. The OkiData PaceMark 3410 is not the fastest printer on the market, but offers decent printing speeds. It is reliable and there aren’t any negative aspects to owning it.